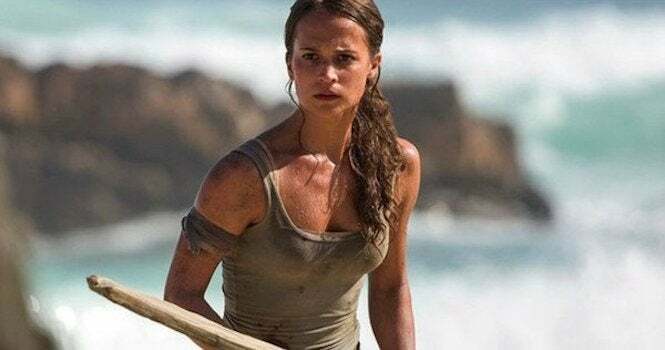 For those of you that have been itching to see more of Alicia Vikander in action as Lara Croft in the new Tomb Raider movie, you’re about to get your wish. The team at Trailer Track have reported that a second trailer for the latest big-screen adaptation of Croft’s adventures is on the way. The site reports that the trailer has been rated by Consumer Protection BC, and should be online over the next few weeks. The registration was made by Warner Bros. Entertainment Canada/Divertissements Warner Bros. Canada Inc., but it should be worldwide, so we’ll see that trailer in the United States soon. The trailer is set to be about two minutes in length, and should show more footage than the initial trailer that debuted last year. Tomb Raider, which also stars Daniel Wu and Walter Goggins, is set to arrive in theaters on March 16th, 2018.